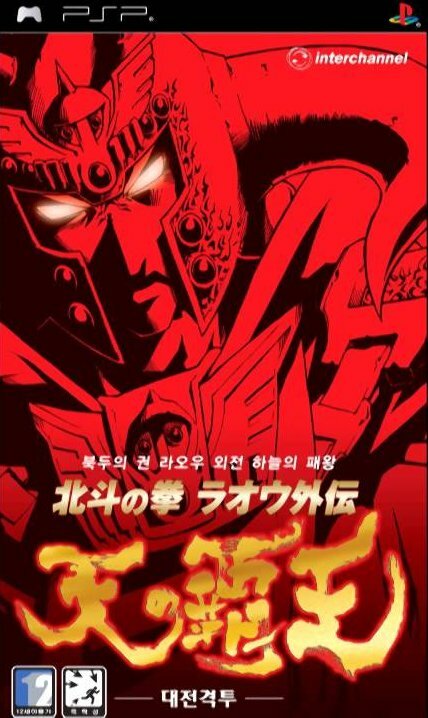 STORY: This installment is based on Yuko Osada's manga seial of the same name which follows the adventures of a young Raoh as he travels the badlands of the future. 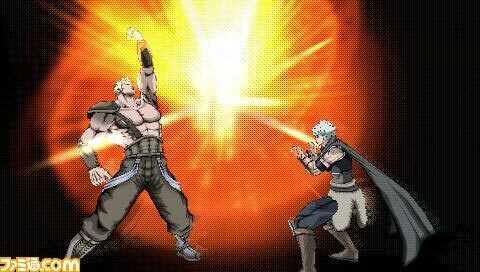 Having deja vu of CVS2 selection screen... for some reason. 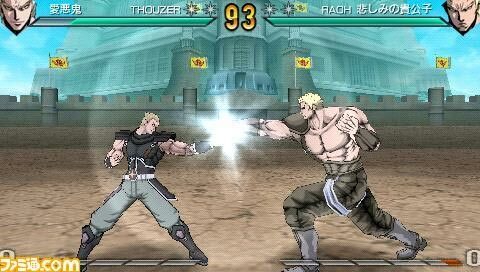 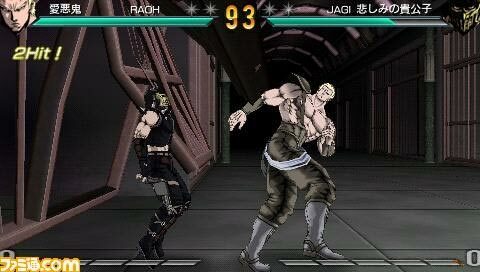 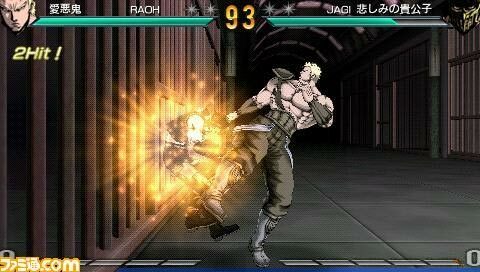 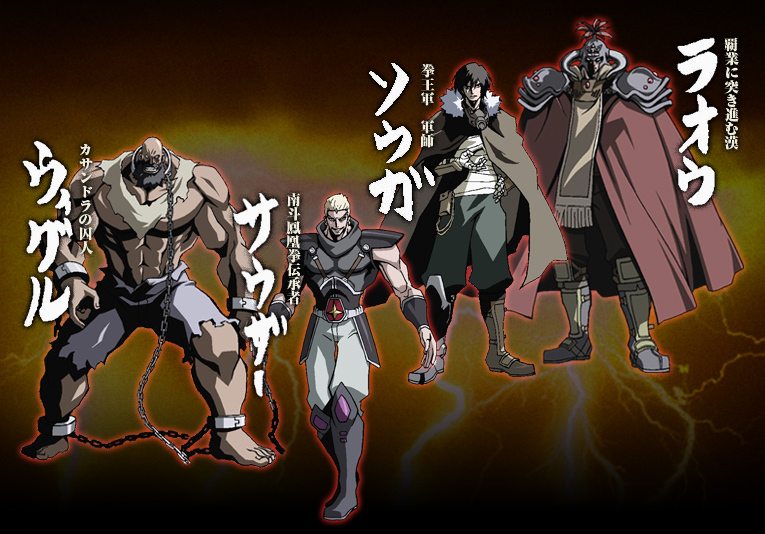 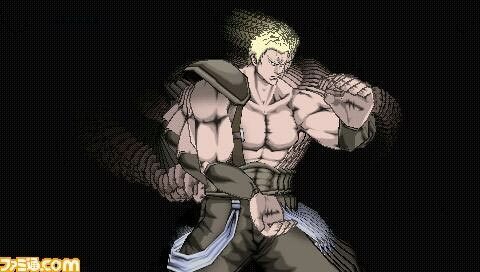 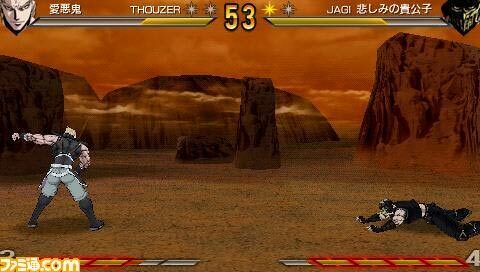 ABOUT: Hokuto No Ken: Raoh Gaiden ~ Ten no Haoh is a 2D fighting game with 3D graphics, exclusively for the Playstation portable. 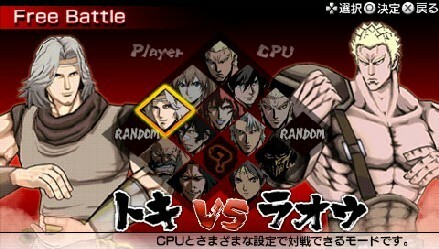 There will be 13 playable characters including a completely original character made specifically for this game. 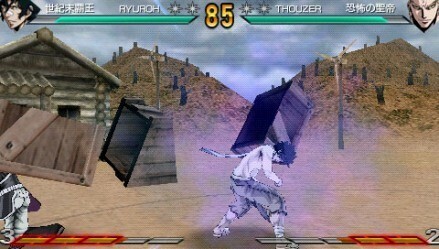 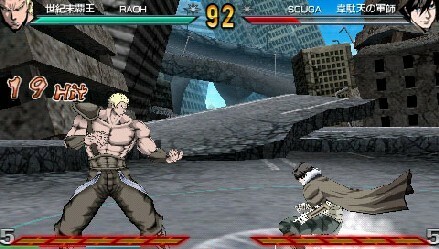 The game features Story Mode, VS computer, 2-player Versus, and Training Mode. 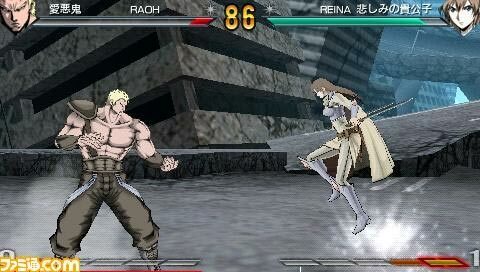 Prolly not the best PSP fighting game... but not the worst either. 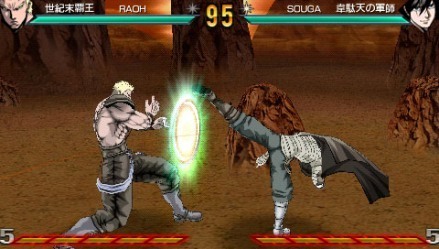 Gameplay features include an "Attack Cancel Facility" where a players punch or kick is canceled if the opponent punches or kicks at the same time... the only result if that happens is a circular illumination on screen. 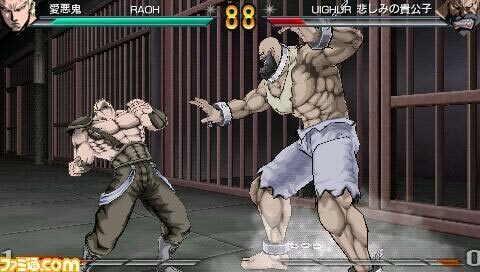 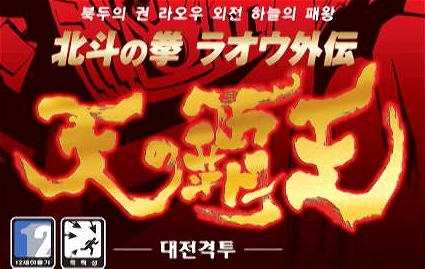 There's also a special move power gauge which will allow characters to perform a "Kyukyoku Ogi" (instant kill type move) when completely full and several stages have destructible elements, including a jail cell which can be completely demolished.